A welcome addition to the StoryCards range, this set encourages students to say what happens 'first', 'next' and 'last' in the story. Includes finger puppets of the animal characters to retell each sequence of events. 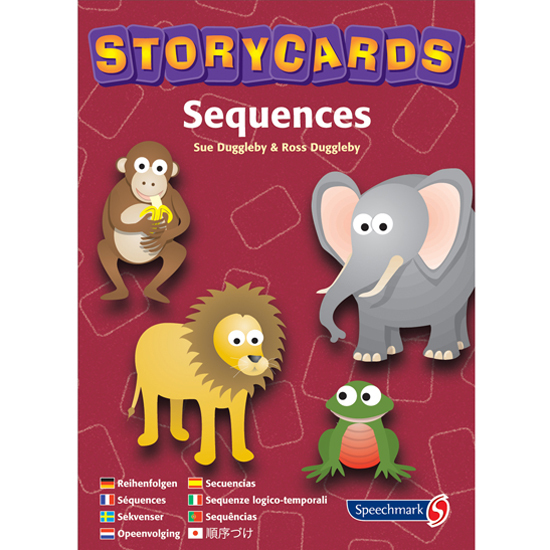 The twelve story sequences vary in length from three to five cards, with four stories for each of the sequence levels, to help students develop their sequencing skills in stages. The sequences use much-loved characters already introduced in other StoryCards sets. 48 picture cards illustrating four stories; 60-page A5 instruction booklet and four felt animal puppets.